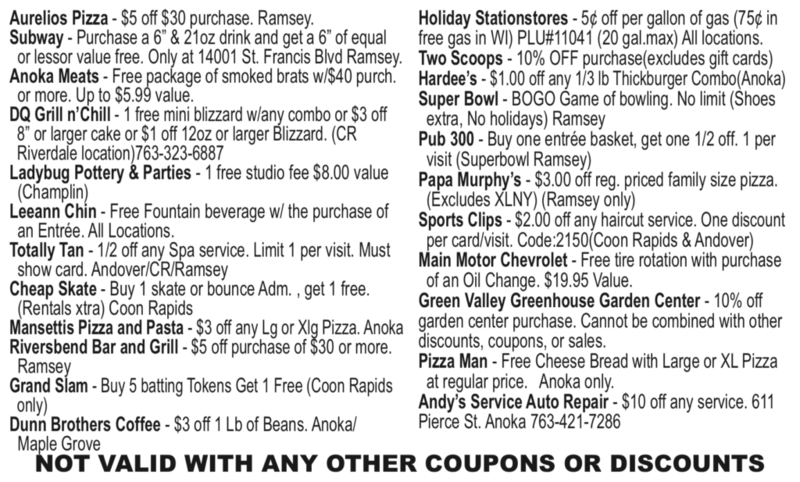 $15 for great local discounts! Contact any player to get yours today! 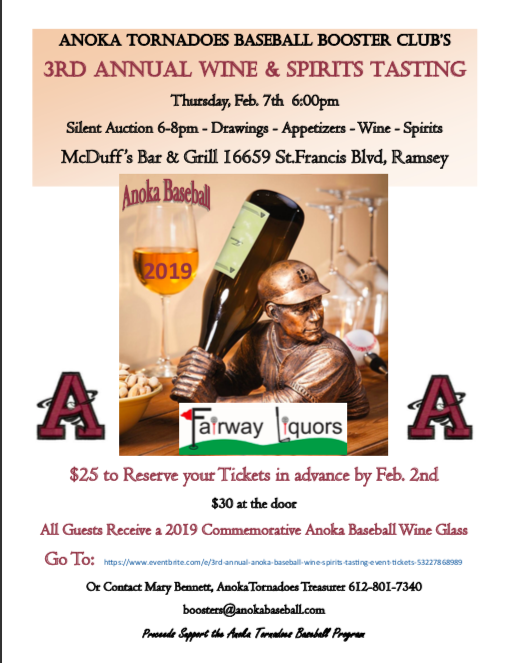 The 3rd Annual Anoka Baseball Boosters Wine & Spirits Tasting will be held February 7th, from 6 – 10 PM at McDuff’s located at the Rum River Hills Golf Club. If you have attended this event in the past, you know it is a lot of fun and this year will not disappoint! Fairway Liquors has generously sponsored this event which will include wine tasting, appetizers, door prizes and a silent auction! Many amazing wine and spirit distributors will be represented. 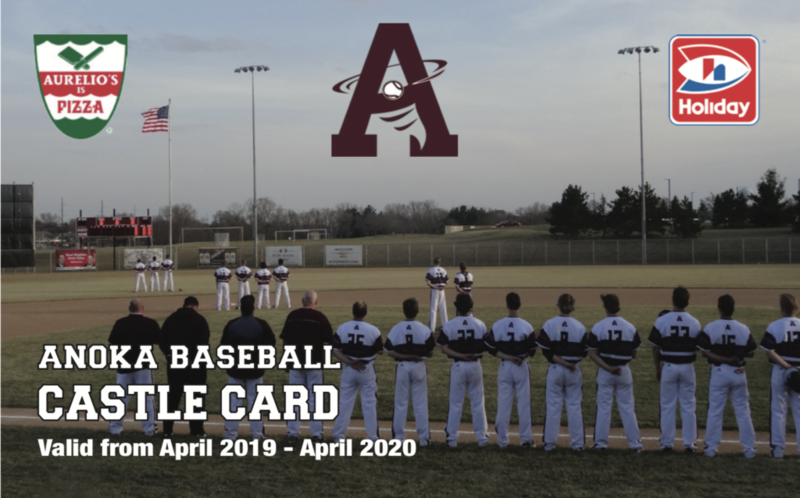 All proceeds will go to support the Anoka Baseball Program. Please plan to attend and have a great time supporting our baseball program! Don’t forget this event is just before Valentine’s Day. Bring your Valentine out for a fun evening!